Estate Planning For Clients without Children - Thompson Law, P.C. The need for quality estate planning is not limited to any specific demographic. 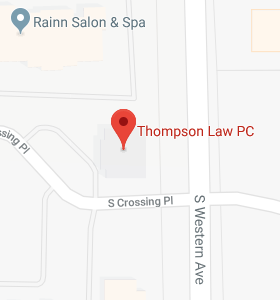 At Thompson Law, P.C., we see clients from all types of backgrounds. Some of our clients are established, third-generation farmers with children who will one day continue the farming operation. We work with clients that are small business owners, doctors, teachers, bankers, nurses, and even other lawyers. Some of our clients are single; some are married, widowed, or divorced. Some couples we work with have a dozen children or more, and others don’t have any. Regardless of your life circumstances, everyone has a unique story, set of values, and legacy to share. I recently met with a couple who have been married for over thirty years. They have each had successful careers individually and are wonderful to work with on a professional level. They clearly treasure their extended family, but never had any children of their own. When we discussed their estate plan our conversation focused on their individual values and what they wanted their legacies to be after their time on Earth has come to an end. Both have specific plans for the people and organizations they want to impact. Although their assets pass down in a less traditional manner, they’ve left a legacy in an equally meaningful way. Every person benefits from a clear, certain, and effective estate plan; individuals without children have a critical need for a definitive estate plan. Without a proper estate plan in place, state law determines where your assets are transferred and whether someone has children or not, not too many people I know want their state legislature making those decisions for them. State law does not take into account whether you have siblings, friends, nieces, nephews, or others who have made a difference in your life and that you would like to make a difference in theirs when you pass away. Absent a clear estate plan, state law does not allow your college, your church, or a charity to receive a gift upon your passing. When you have a quality estate plan in place, you can feel confident that your assets will pass to whom you want, when you want, and that your goals will be carried out in the manner you’ve chosen. Like everything else in life, you need to be aware of the many options that exist in estate planning. You can then make educated decisions about all the components of your plan. By visiting a qualified estate planning attorney, you can ensure your wishes are communicated to your loved ones, and that your legacy will unfold in the unique way you designed it.